Home What Is & How To What Is & How To Be a Disc Jockey? 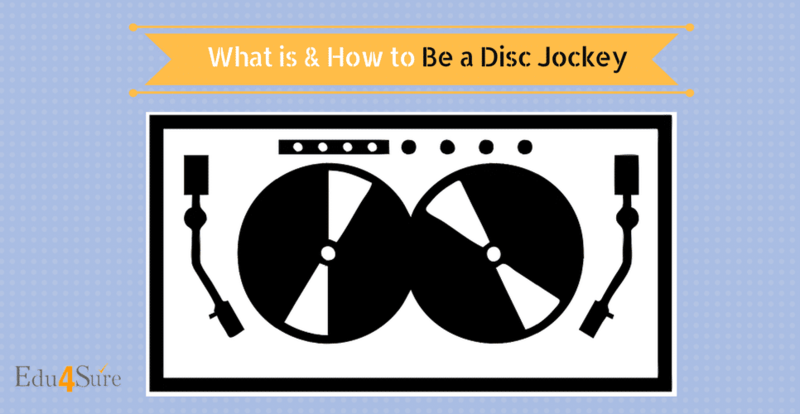 What Is & How To Be a Disc Jockey? Well, You can pursue a career in music. If you love making the crowd groove on your playlist. Playing with the console. Love Loud Music, Mixing and Everything Bang On! Then you could be a Disc Jockey or what we call is a DJ. Don’t think it is not a profession but just a hobby. It is a profession, in fact, a growing profession. We have some Professional Disc Jockeys like DJ Chetas you all must be knowing. Being an Engineer needs a qualification but being a DJ requires talent. You can only be a DJ if you have an interest in it. Therefore it is a complex job to pursue. You need to go crazy (not in a bad sense ) but all in good faith to become a DJ and make the world dance to your tunes. DJ live their lives by the principle of EAT. SLEEP. MIX. REPEAT. Disc Jockey is a person who mixes parts of different pre-recorded music as it is playing for a live audience in a nightclub or in a disco. The Disc Jockey make use of “ DISC” in the process. Although now the process has become digitized. They create beats, baselines, mashups, etc. Everyone loves music but you only discover later that you want to become a Disc Jockey as you have more in yourself than just the love for music. You like to play with music. There is no specific qualification or certificate course that you need to study in order to become a DJ. There is no age limit for the same. If you have a flair for music and in-depth knowledge of music, you can become a DJ. Moreover you need to understand the different genres of music like Rock, Jazz, Hip-Hop, Pop, etc. A DJ should have a good taste in music and should regularly update his music list. Need to have a database of songs, tunes etc. Furthermore disc Jockeying involves technical training. You need to know the technique of combining, merging different soundtracks using the software. This technical training can be obtained from institutes run by former DJs in Delhi and Mumbai. There are certificate courses or maybe diploma courses provided by these institutes under different heads like Basic DJ Training, CD DJ Course, CD Turntable Course, DJ competition course. First decide what you need to pursue and take up the course. They provide you technical training to work and more practical experiences. You can find more about these by visiting their online websites if it interests you. A DJ must have a personality, attitude and strong communication skills. Must understand the mood of the audience, the latest trends and how to make the crowd happy and lively. DJ’s must be in a habit of working for long hours till late nights and early mornings. Party PuriRaatChalegi. DJ’ s must have an ear for rhythm. Good Coordination, timing. Should also have a Business Sense and must be willing to work under any circumstances. A career as a DJ is a creative art. You need to have a sense of music and rhythm in yourself. Further more you should have the technical knowledge and operating skills. You should know Manipulation, remixing of soundtracks. Moreover you should be familiar with terms like audio mixing, cutting, cueing, juggling and much more. Not just familiar but also know how to do in the best way. They use a variety of equipment to create the desired effect and mood and to do the above-mentioned works. For example they use Tapes, Sound Mixer, Lighting Effects, Equalizer, Microphones, etc. Computer DJs- they play digital music encoded audio files with the help of laptops. Mobile DJs – They play music from their own portable systems that they carry along. They also play extensive numbers from their exclusive list of pre-recorded songs. Radio DJs- They are known as a radio jockey and work at radio stations. They play music tracks on radio stations. Also they produce Program Packages filled with jokes, advertisements, songs, conversation, news, etc. Club DJs- They work at nightclubs. Mixing of music using several techniques to create the ambiance. Also they play loud music in flow and does not allow the crowd to leave the dance floors. Hip-Hop DJs– Is a one who selects, plays music as a hip-hop artist, performer. The attractive part of being a DJ is the remuneration. As a DJ you can make handsome money in one night. As a fresher you may earn a little as you will be doing for parties, events at a small scale but as your popularity grows you bag on big projects and earn huge along with perks. 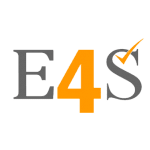 You could also work in the movie industry, television shows, singers etc and ern in lacs. But the basic amount can be anything between 8000-10000 per night. Also some DJs have come up with their own albums over a period of time and have a good bank balance. The profession of Disc Jockey will never die and continue to be in demand. People will hire them for parties, events, weddings etc. The music industry has a boom and DJs have acquired a reputation and made a name for themselves as well as the brand. You could be traveling for projects. Further you can work as a freelancer where you personally choose where to go and must have your equipment, sound engineers, and a team. So as long there are clubs, parties being organized, and the world is running on three things that are Entertainment, Entertainment, and Entertainment. DJs will get work and will continue to grow. So, here we wind up the process of becoming a DJ. Previous articleWhat Is & How To Be A Nurse? Next articleWhat Is & How To Be A Judge?